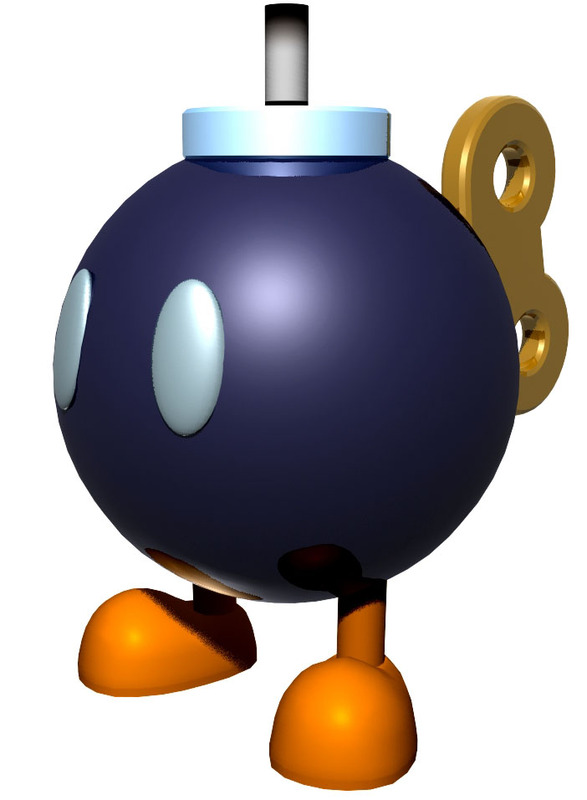 Bob-omb is one of the minor enemies from Super Mario Bros. 2 (1988) ..and the original Japanese version known as “Yume Kōjō: Doki Doki Panic” (1987) before. 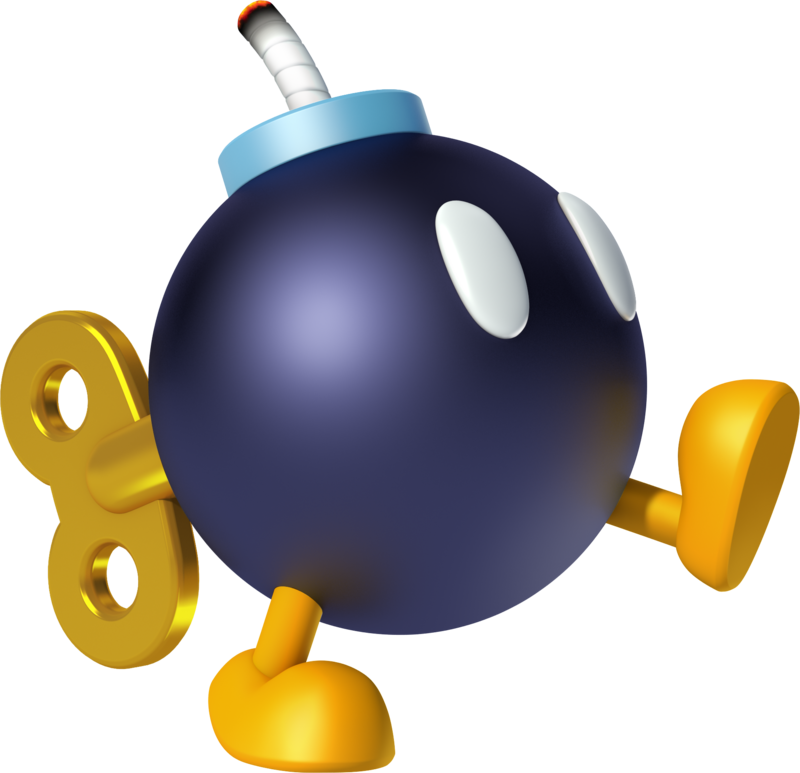 They are walking Bombs with eyes which walk usually in Mario’s direction or from right to left on the screen and will explode nearby Mario. Sometimes they can be picked up and thrown by Mario. 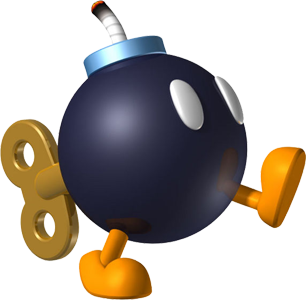 The Bob-omb returned in almost all Mario games, in Mario 64 (1996), the first stage, the Bob-omb Field is named after them and Kick Bob-omb. In some of the Mario Golf games they are like obstacles and will explode if a Ball was shot nearby them. 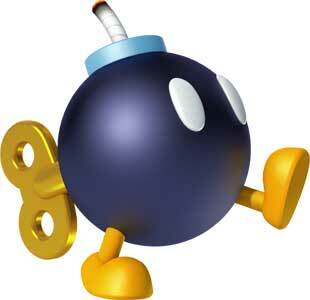 In the Mario Kart series, the Bob-ombs are a weapon. They also appear in a couple of Legend of Zelda games where they act similar as in the Mario games.